Merit Badge Passports- pocket size work sheets for many merit badges. Proper Placement of Insigna and Ranks- Check here for the correct placement of rank and merit badges. 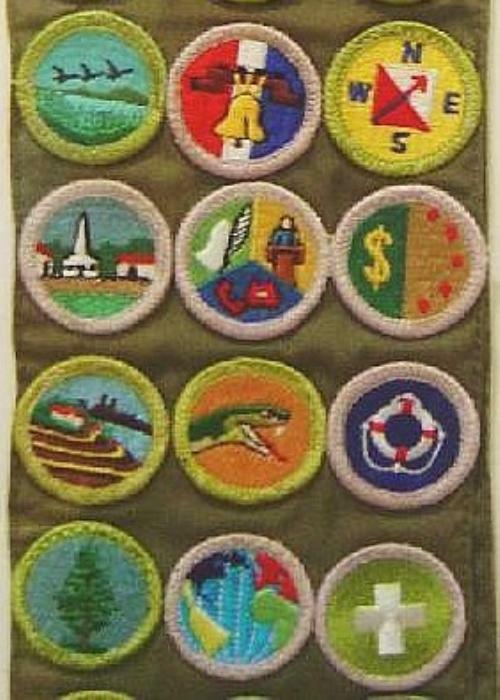 The above website says merit badges can be worn on the back of the merit badge sash when/if the front has been filled.